? Minimal interactive command-line prompts. 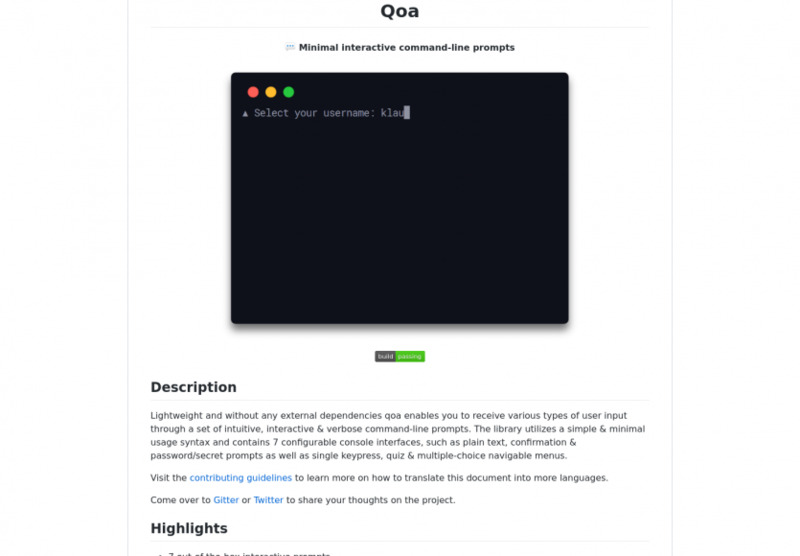 Contribute to klaussinani/qoa development by creating an account on GitHub.